Depletion of natural habitat is the main reason the monarch migration has been declared an endangered phenomena. Milkweed is the only monarch caterpillar host plant. 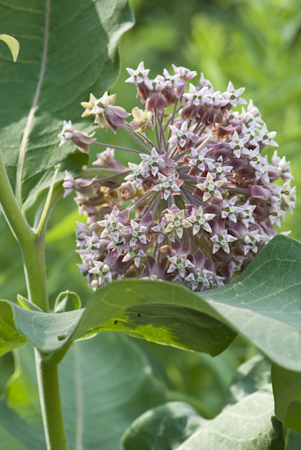 Although we are at the tail end of milkweed seed collection time, we are requesting milkweed seeds donations to initiate a new program. 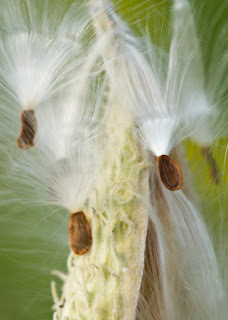 Common milkweed, the favored milkweed of monarchs here in Minnesota, is still in a stage of pods opening and releasing seeds. 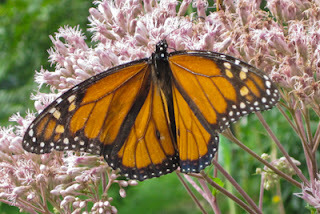 The seeds would go to the Minneapolis Monarch Festival and the Wild Ones National Monarch Committee Initiative. The milkweed seeds from any Minnesota native species, can be brought to the next Wild Ones meeting at the Wood Lake Nature Center, Richfield on Tuesday, November 20th 6:30-8:45 pm. Collect milkweed seeds after the first frost. Harvest only mature seeds. It is easiest to collect in the pod itself. It is essential to collect only mature seeds. If the pod is open or opens easily with a squeeze and the seeds are dark brown, the seeds are ready for harvest. Seeds well into the process of browning and hardening will germinate when planted the next season. Pods that do not open easily and with light colored seeds, are immature and will not germinate. Dry collected pods and seeds in an open area with good air circulation. Once the pods are thoroughly dry, the seeds can be separated from the silky parachute-like material (coma) by hand. One separation method is to put seeds still attached to the coma in a paper bag. Vigorously shake the bag to separate the seeds from the coma and then cut a small hole in bottom corner of the bag and shake out the seeds. Store dried seeds in a cool, dry place such as in a container in the fridge.